There is less than a yard of this lovely fabric. I want to use it for something. After weaving the baby wrap, I wove off the remainder of the warp in twill, using multiple weft colors. The colors seem even more vibrant in this twill weave. The fabric feels great in hand, as well. Is there enough to make a handbag? Just barely; but, yes, there is enough! After ironing interfacing to the back of the fabric, I work the puzzle of fitting the pattern pieces onto the fabric. Some piecing is necessary. Lining pieces have pockets added. 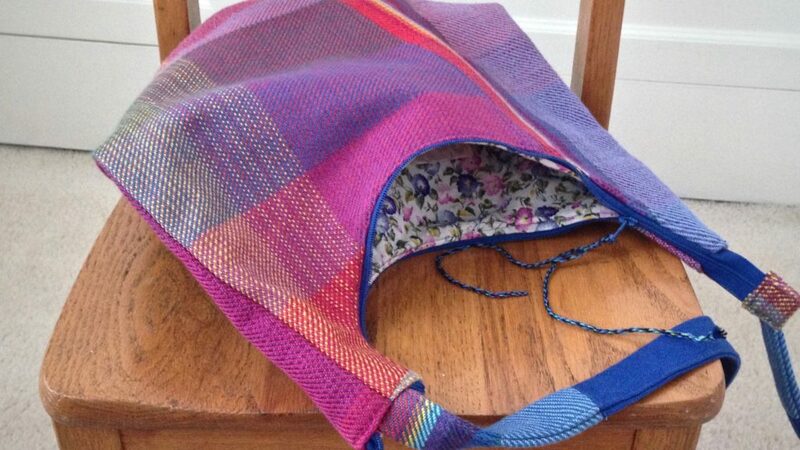 Topstitching goes all around the top perimeter of the handbag. How do you feel about cutting into your handwoven fabric? Once you cut, there’s no turning back. You better be sure before you get out the scissors. 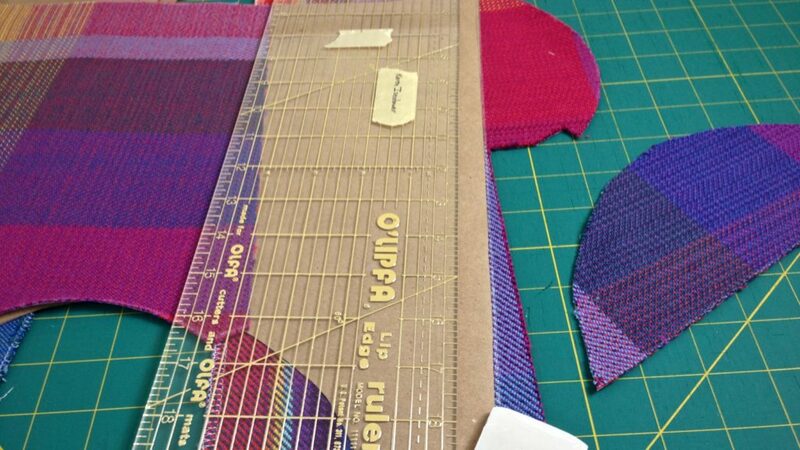 Fear of ruining your precious fabric can keep you from ever making the first cut. 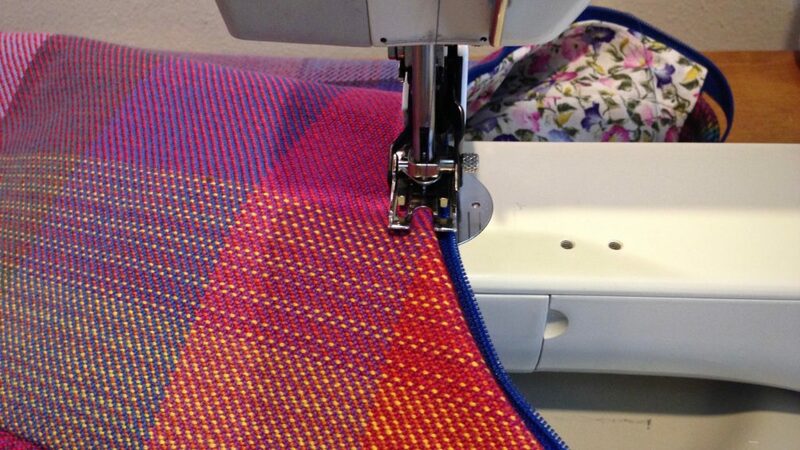 You might be tempted to fold up your fabric and tuck it away in a drawer. “At least you didn’t ruin it,” your fear would tell you. However, if you know something good will come of it, and if you have a plan, you walk past the fear and do the cutting. 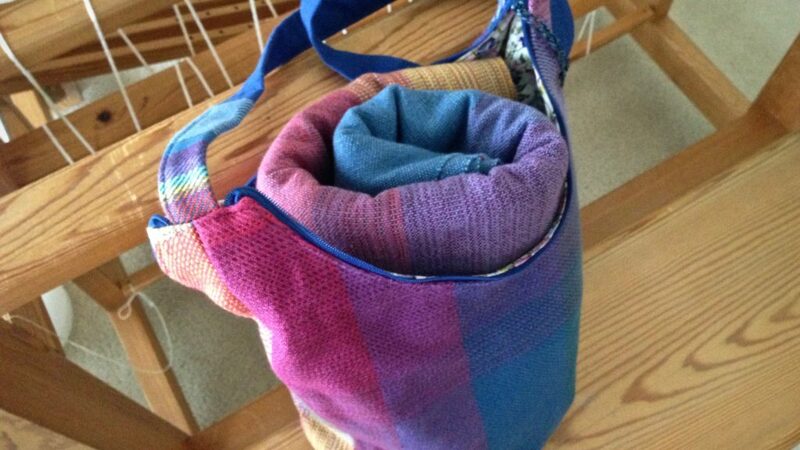 Finished handbag holds the rolled baby wrap. 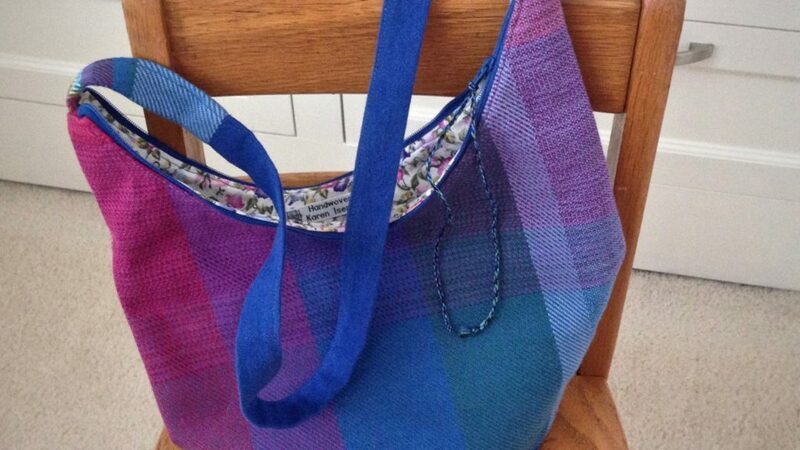 Handbag front is mostly twill, with five different weft colors. The warp length is crosswise in this piece. Back of the handbag. 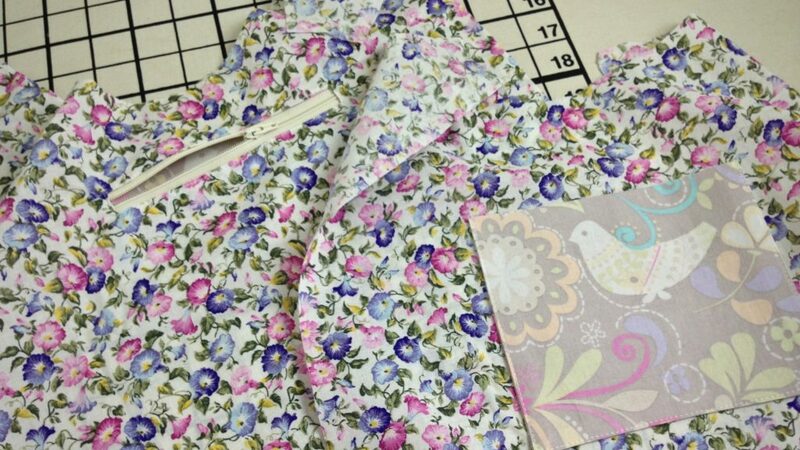 The lining fabric is cut from a remnant left from an Easter dress I made my daughter umpteen years ago. The peace of Christ takes the power out of fear. Instead of looking at the status quo as the only option, internal peace enables us to walk past the fear. His peace enables us to do things that require faith. Fear fades when you know that the one who is truly good does have a plan. After all, handwoven fabric is made for such a use as this. May you do things that require faith. Beautiful bag! Would you be willing to share the pattern? Thank you, Betsy! I’m glad you like it. I don’t have the pattern in a shareable format. It’s one I designed and drew on brown paper. Hi Janet, It does take a level of confidence. I think if you can weave it, you can sew it. It’s a satisfying experience. I hope you give it a try! What a nice bag. As I looked closely at the pictures, I saw you had a zipper for the bag opening and I was impressed. Then, I noticed that you also have a zippered pocket! Talk about raising the bar. I love your attention to detail. It’s the details that set something apart as a handcrafted item. I like zippers.